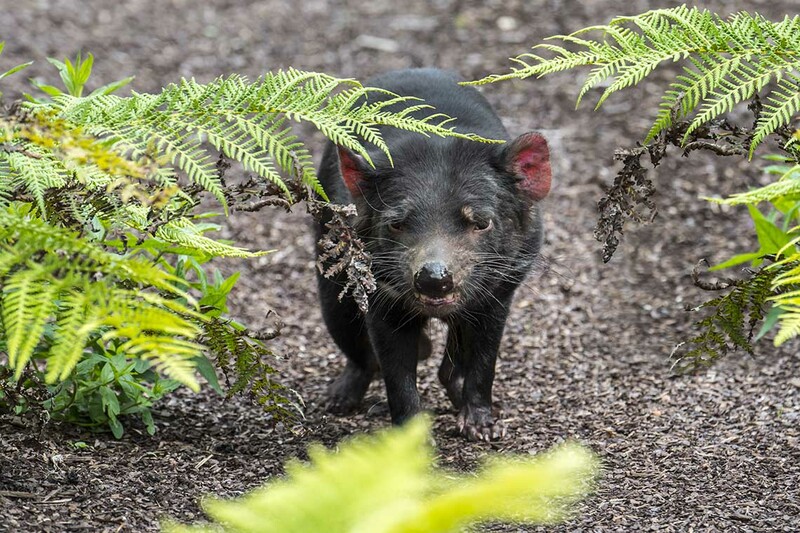 A contagious facial cancer that has ravaged Tasmanian devils in southern Australia isn't the first place one would look to find the key to advancing cell therapies in humans. But that’s exactly what first inspired a Medicine by Design-funded research team to improve the safety of stem cell-derived treatments by programming the cells to die if they mutate in ways that harm patients. The development of “safe cells,” an advance outlined in a paper published today in Nature, could be a critical step toward the widespread use of cell therapies, which hold the potential to treat and even cure diseases such as heart failure, eye diseases, diabetes and stroke. Safety in cell therapy involves preventing or mitigating the risk that the cells will develop tumours or unwanted tissues, or trigger an immune response that may jeopardize the health of the patient. It’s a tricky thing to predict, given that cells are living entities. The development in 2007 of induced pluripotent stem (iPS) cells – adult cells that have been engineered back to a pluripotent stem cell state and have the potential to become any cell type in the body – promised to revolutionize the field by creating an endless supply of stem cells without the ethical baggage of their embryonic counterparts. However, along with embryonic stem cells, iPS cells share a proclivity toward uncontrolled and potentially cancerous growth. This, plus the risk of genetic mutations and current cost of iPS cell production, have hampered their progress to clinical application. Nagy first became interested in the plight of the Tasmanian devils in previous research that looked at developing “cloaked” cells to enable off-the-shelf cell therapies that would be more cost-effective and timely than personalized treatments using a patient’s own cells. The transmissible cancer, which spread when the highly territorial marsupials bit each other, wiped out 95 per cent of their population between 1996 and 2015. As scientists and conservationists raced to prevent the total demise of the animals, Nagy wondered if the devils might hold the key to overcoming a key hurdle in developing off-the-shelf cell therapies: to prevent the patient’s immune system from attacking the therapeutic cells, immunosuppressive drugs are administered, raising the risk of other, potentially serious, health complications. He set out to discover how the cancer cells could evade the immune system. It was no easy task. The immune system is very complex, involving many cell types that are adept at rooting out invaders, which is why instances of transmissible cancer are virtually non-existent. In the case of the Tasmanian devil, the common theory is that the animals are too similar, genetically speaking, and the cancer was able to use that to avoid detection. So how could this apply to more genetically diverse humans? The key was finding the right genes: Nagy and his team identified eight of them that are central to immunity. From there, he reasoned that just as the devils’ face cancer could avoid detection by turning off the right genetic switches, his iPS cells could similarly become cloaked. Testing in mice showed that the cloaked cells worked. But it led to another problem. The idea of safe cells – the subject of this week’s Nature paper – emerged from this need to ensure safety, or at the very least the ability to quantify risk. It’s perhaps the biggest barrier in getting iPS cell therapies into patients: Until now, no one could predict the exact likelihood that a batch of cells might be aberrant. In this paper, Nagy and his team have devised a method to increase the safety of a cell graft and a formula to quantify the risk of mutation “unsafeness” so that people can make an informed decision on whether such a risk is acceptable. At its core, the safe cell calculation revolves around mutation. DNA replication is error-prone and mutation is unavoidable. In cell therapy, mutation is precisely what you don’t want, because it can negatively alter the intended result, say by producing a tumour rather than a remedy for cystic fibrosis, or diabetes, or any other target disease. And the more cells needed for the therapy, the more cell divisions take place, meaning a higher chance mutation will occur. Knowing this, Nagy’s team found a way to predict the odds of obtaining potentially dangerous therapeutic cells and ameliorate these odds through gene-editing. The edited cells have a suicide gene spliced into the DNA, directly connected to a gene necessary for cell division and survival. In addition, if a harmful mutation is detected, the application of a small drug can prevent those cells from dividing and causing harm. They’re also cloaked, removing the need for immunosuppression. The safe cell level measurement itself is based on the probability of getting a batch containing mutated cells. In this case the higher the number, the greater the safety. A safe cell level of 100 means the odds of getting a mutated batch of cells are one in 100; a safe cell level of 1,000,000 represents odds of one in 1,000,000. Nagy is optimistic, based on feedback thus far, that they are moving in the right direction. His next steps are to conduct more tests in animal models and he has initiated talks with Health Canada to move to human clinical trials. He has also created a new company, panCELLa, to help with these efforts. If the safe cell method can be implemented into all iPS cell manufacturing, it could well become a standard for cell therapy safety that will provide a measure of confidence and predictability and allow a rapid progression of gene-edited iPS cells into clinical trials and clinical approval. This research is one of 19 team projects funded by Medicine by Design, a regenerative medicine research initiative at U of T that aims to accelerate discoveries and translate them into new treatments for common diseases. It is made possible thanks in part to a $114-million grant from the Canada First Research Excellence Fund, the single-largest research award in U of T’s history. The project was also funded by the Canadian Institutes of Health Research and The Foundation Fighting Blindness.